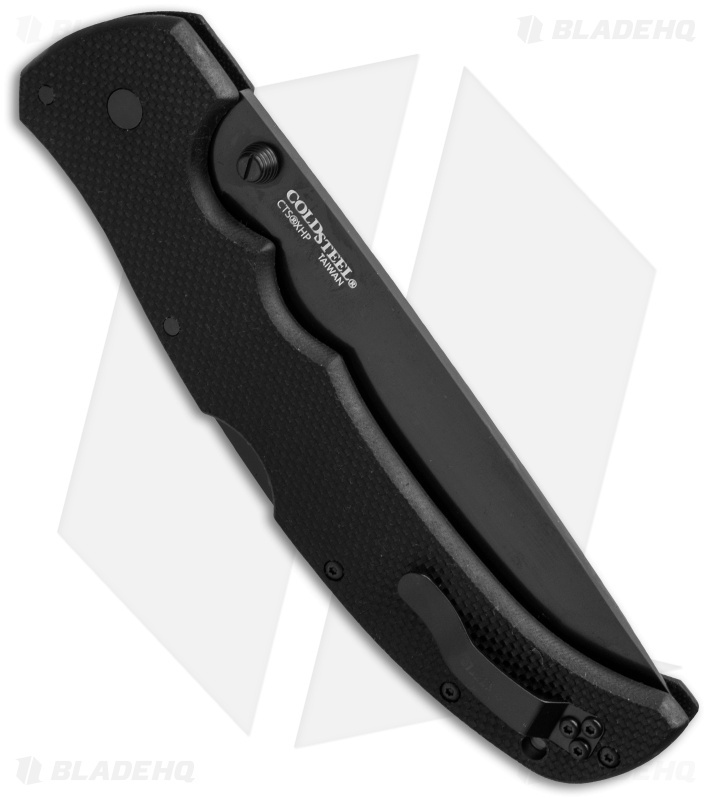 Cold Steel XL Recon 1 is the biggest Recon tactical folder of them all! This one sports a Tanto Point style blade with thumb stud opener. 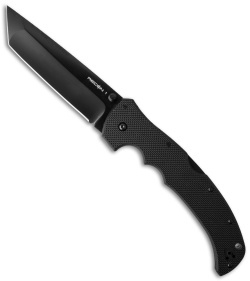 The 6-3/4" long G-10 handle utilizes the strong Tri-Ad lock back and features a reversible tip-up pocket clip. 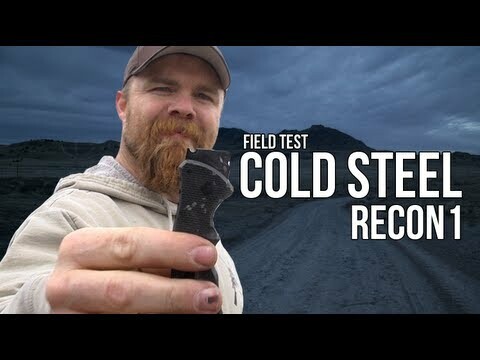 The XL Recon is a great addition to the Cold Steel line! I bought this knife for my father as a Christmas present, both he and I have the older recon 1 with the axis lock. 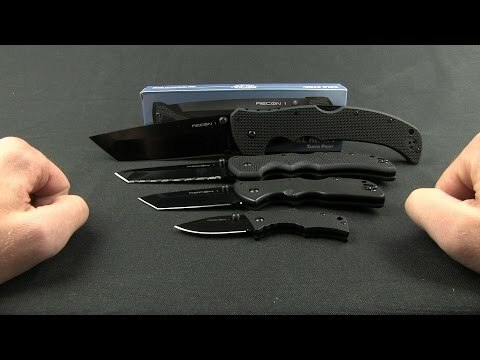 He has always enjoyed larger knives but I find the the recon 1 xl is too large to be practical. He loved the gift and after he had opened the box I got to handle the knife as well and I was very surprised with how light such a large knife was in hand and how I was able to flick the knife open. The G10 I would say is moderate traction but will still cause some wear and tear on some pants. Even with the large blade and handle I was still able to close the knife one handed. Not for the faint of heart as the heavy cts-XHP blade comes slamming down. The knife also comes with two diminiutive pocket clips that actually allow the knife to be carried in the front of your jeans. It actually wasn't that bad to carry. However because of its size it fills a very specific role. For the size why not get a heavier and less conceable fixed blade? I can't recommend it for edc. I can recommend it as a great Christmas present for your father, and as a perfect edc knife if the zombie apocalypse happens.